A number of rulings from across Europe indicate that courts are taking a hardline approach to non-traditional signs and shape marks in particular. The Indian courts have adopted the principle of trans-border reputation to protect foreign pharmaceutical marks that have not been registered in India. Spanish practice on pharmaceutical trademarks reflects recent developments at EU level. This article examines the relationship between such marks and international non-proprietary names and the criteria for determining the relevant public. Substantive legislative changes have opened the door to the parallel importation of pharmaceuticals in Israel. Parallel importation cannot be prohibited, unless the goods undergo substantial changes such that they can no longer be attributed to the mark owner. Pharmaceutical trademarks in Portugal must meet both the requirements for registration as a trademark and those for eligibility as a medicine name, which are much stricter. Trade dress issues in relation to pharmaceutical products have become more apparent in Brazil as trade in generic drugs increases. Luckily, local law provides adequate protection against imitation. Inconsistencies in approach to the test of likelihood of confusion make it difficult to evaluate in advance the risks associated with adopting a pharmaceutical trademark in Italy. Pharmaceutical trademarks must clear a number of hurdles, including distinct and independent reviews by the US Patent and Trademark Office and the Food and Drug Administration. As in most other jurisdictions, in China pharmaceutical companies must navigate a dual system of registration and approval of their trademarks and the commercial names of their products. Part IV of the new Civil Code establishes the basic regime for the protection of pharmaceutical trademarks in Russia. Rights holders must also be aware of legislation governing the use of medicines, and practice at the Patent and Trademark Office and the courts. The EU courts have wrestled with the likelihood of confusion test for pharmaceutical marks over the years, often coming to seemingly conflicting conclusions. The Romanian courts, on the other hand, have preferred to keep things simple and have taken a more consistent line. 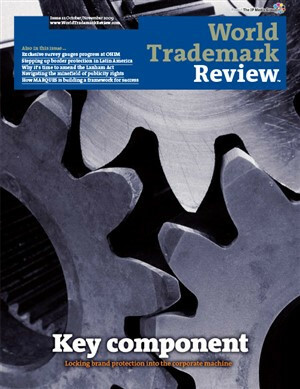 Many trademark challenges are specific to the pharmaceutical industry. Issues include whether clinical trials can be considered trademark use in Canada – a prerequisite to trademark registration – and the limited extent to which pharmaceutical trademarks can be used in advertising. As with all EU member states, Denmark tightly regulates the use of pharmaceutical trademarks. This analysis examines how Denmark has aligned itself with the EU model.